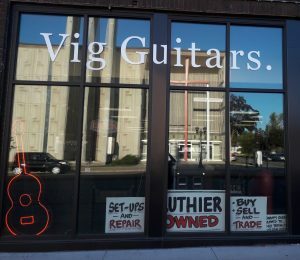 We are an independent, full service, luthier-owned shop serving the working musicians in the Minneapolis/St. Paul metro area since September 2014. Ted Vig’s expert repair is the cornerstone of our business. We specialize in repair and customization, and carry a variety of guitars, basses, mandolins, ukuleles, and accessories. Ted Vig has been working full time and building his audience through music stores since 1988. He has a long list of devoted repair clients…this just doesn’t happen overnight! 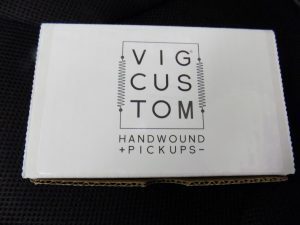 His Custom Vig Handwound Pickups are flying out the door! This store is run by local musicians who SUPPORT local musicians! We have ample street parking in front of the shop and a big parking lot. Come on by! The coffee’s always on! Try out Ted Vig’s Custom Handwound Pickups!! Check out our gear on Reverb.com! Please visit our store on Reverb.com as we are constantly updating our new and used inventory. Copyright © 2019 Vig Guitar Shop.